Hey y'all! I've decided to take a tiny blogging break since I'm heading to Walt Disney World today! 'll be back Monday! Be sure to follow along on Insta and Snapchat (both ellesees) for my adventures. But before I go, I wanted to share what I got in my PopSugar Must Have Box for January! I was sent this box, by the way to try out. For this month, think words like new-fresh-detox-motivation-healthy-revitalize. Perfect for starting new in January, right? There's a video at the end that I want you to watch where I really go into detail, so I'm going to breeze through these. Let me know how you like it! If you're interested in trying PopSugar Must Have Box for yourself CLICK HERE and use the code SHOP5 for $5 off your first box! Have a great weekend and see you Monday! The box looks like a good one. Your makeup looks stunning in the video! What a great box! The peppermint tea sounds sounds amazing and I bet that candle smells so good! Looks like there were some great products in the box. May Designs has the cutest calendars and I love this one -- especially February! Also, love your makeup in the video. Yours eyes look gorgeous and I love that lipstick color! Ooo! I'd love to try that facial peel! This looks like a great box this month! That calendar is so adorable! I love May Designs! I love hair towel turbans! I use them every day! The Goldfadden MD Fresh & Peel Multi-Acid Resurfacing Peel sounds interesting. Have fun at Disney! It looks like so much fun! I'm always tempted by these boxes, but I must resist! The description of the Glade candle has me wanting to go on vacation, haha! And the instant happy notes are so cute! That calendar is so cute!! I hope you have a great trip! I really need to get on the pop sugar buzz!!! Have an amazing trip! Hope its super magical!! I really liked the January PopSugar box. I just got the February one in the mail, and I'm so excited! What a fun mix of products! I've heard some good things about the Goldfaden brand. I'm thinking about giving this back a try. Wow! I actually just learned about beauty subscription boxes today, but this one actually seems to have quite a lot of useful and good quality things inside! Happy walt disney world-ing! Slightly jealous! what an awesome box! That peel sounds awesome and give me all the peppermint tea! 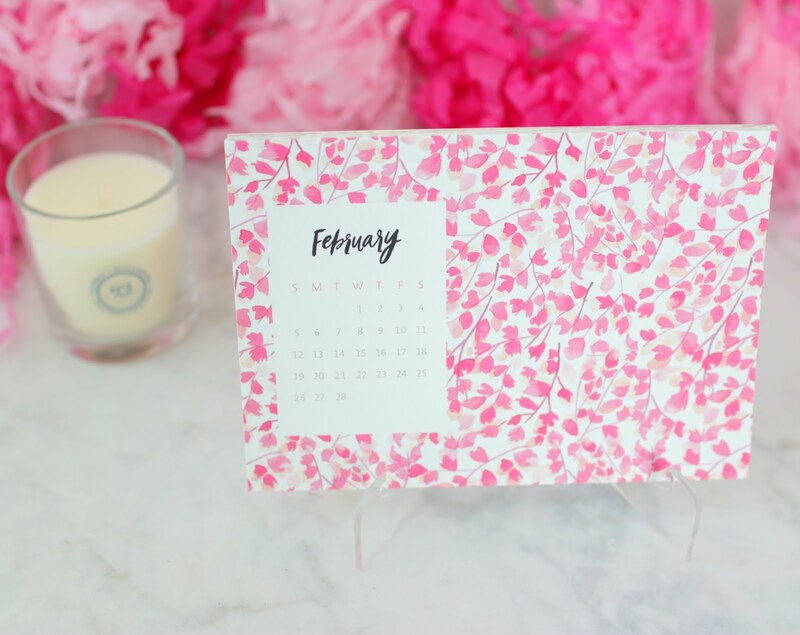 I'm in love with that desk calendar!! This sounds like an amazing subscription box! What a great box! I love the calendar and I've always wanted to use a hair towel turban! I hope you're having a great time at Disney World! This looks like a fun box--that calendar is so pretty! Coconut beach woods??? I have got to get that candle it sounds like my dream come true!!! I haven't tried out this box yet but it always looks fun when you are opening them! Have a great time at Disney!! The peppermint tea sounds amazing! Have fun in Disney World! This box looks so fun. 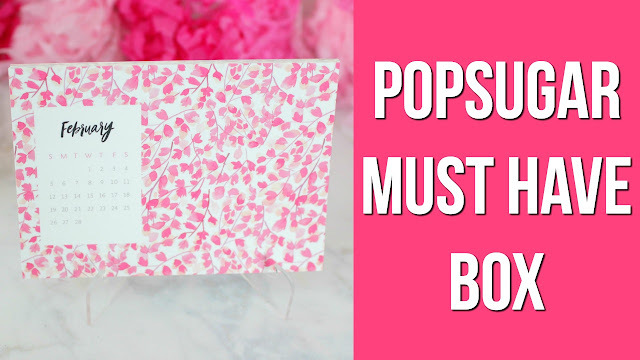 I've been curious about PopSugar's boxes, they seem really unique! Loved this Popsugar Must Have box, Elle! 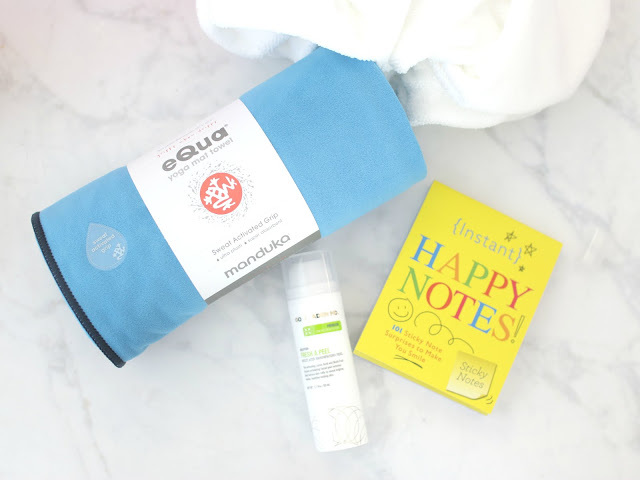 I loved the candle, the happy notes - I have an agenda like that, and it does help a lot - and the towel, how cool is that design? I want one now, good that it has a pouch, nice for travelling! Now I am eager to read about the adventures at Disney! See you on Monday! This was a great box! I've become candle obsessed recently and I've been hitting up TJ Maxx for some fun spring scents. I need to find that one! I hope you're enjoying Disney. I'm having fun following along! Looks like a great box! I enjoyed seeing your video too! I hope you're having a blast at Disney! Have so much fun at Disney!! Loving your box this month- those Happy notes are so fun!